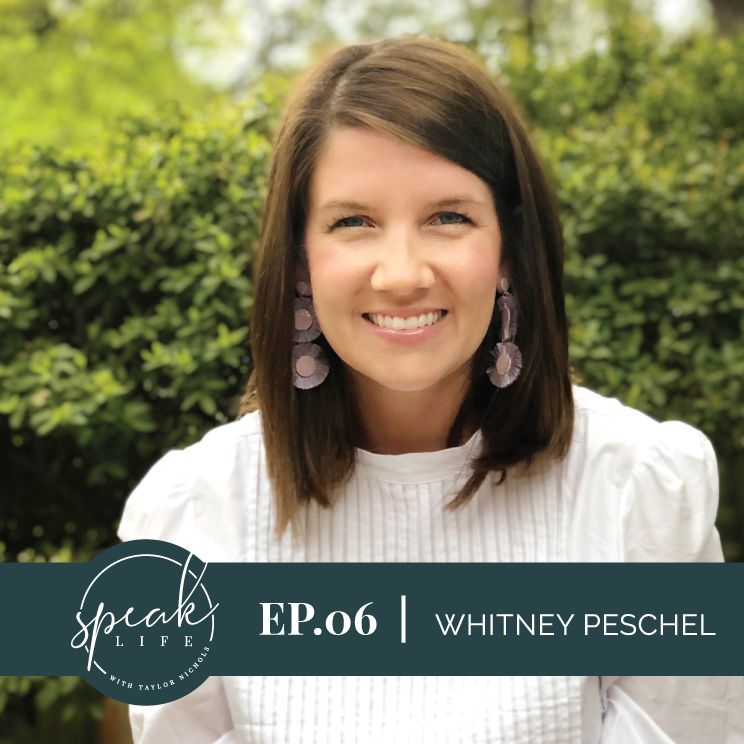 On today’s episode, Whitney Peschel shares with us how losing her father to brain cancer at a young age was the first time she remembers feeling like she needed to be the one to hold everything together and how she carried that feeling into her adult life. Whitney shares what it was like to walk through anxiety and depression after the birth of her second child, her terrifying experience with intrusive thoughts during her pregnancy with their third child, and how those played into intimacy and connection in her marriage. She walks us through what has helped her battle the thoughts and her journey to find the right balance of medication and support to help her find her way through this journey. Whitney is a wife & a mom to 3 hilarious and sassy kids. She works part-time at a children’s hospital and is pursuing a second degree in nursing. Whitney loves having opportunities to be creative, spending time with friends and family, and trying to help people by being transparent about their struggles. Although it may seem like she has it all together on paper, she shares the battle with daily depression and anxiety. She has a desire to be an outlet for others to know these things are very real and can be overcome, but it takes an army.